Are DIY supplement protocols a good idea? I remember when I first began self-experimentation with digestive supplements. 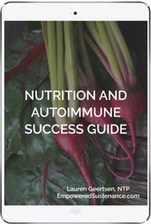 Five and a half years ago, I jumped into the Specific Carbohydrate Diet to address my autoimmune disease. As I began to experience dramatic shifts with my new diet, I wanted to support my recovery in all ways possible. I felt ravenous for faster, deeper healing. That led me through the Internet Doors of Holistic Health, and I googled ALL the digestive health things. Keep in mind, even five years ago, the online resources for autoimmune support were minimal compared to the current blogosphere. So I found myself searching dusty corners of the internet for supplement recommendations, and tried supplements rather indiscriminately. Then, I became a Nutritional Therapy Practitioner (NTP) and my perspective on supplementation flipped dramatically. Through clinical assessment techniques, I learned how to communicate with the Innate Intelligence of the body. That intelligence knows what specific nutrients and supplements our body requires at this point in time. Connecting to the body’s wisdom in this way allowed me to choose specific supplements for faster digestive improvement. It turned out that many of the supplements I had been swallowing with the best intentions were actually stressing my body. I felt captivated with this method of accessing the body’s Healing Wisdom. In following years, intending to open a clinical practice, I pursued advanced clinical training, private tutoring, and interned in the field. While I never opened a clinical practice (as a chronic introvert, I prefer holing up in my house to write rather than working with people) my exposure to hands-on, bioindividual clinical assessment gave me a unique perspective on supplementation. I’ve learned that few supplements are one-size-fits-all. When we create our own hodgepodge supplement protocol from various health websites, we can actually stress our body. For example, someone may start taking herbal antifungals without a binder such as clay or charcoal to absorb the released toxins. Or someone may start taking ox bile, and create a dependency on the supplement. Or someone may take digestive enzymes for years, and similarly create a dependency on that supplement. That’s why I’ve been more and more conservative in my supplement recommendations to you, because supplemental advice cannot be tailored to you in the way a clinician can tailor recommendations to you. With all that said, the following three digestive supplements are the few that DO seem to support everyone. We know this because they test universally well in clinical assessment and kinesiology. 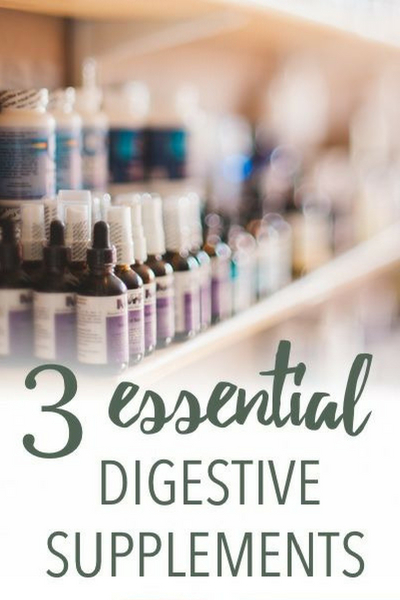 These are also the three digestive supplements that led to the most dramatic improvement in my own health. What it is: This soil-derived supplement is made from — brace yourself — “decomposed prehistoric matter.” The decomposition process, with the pressure and atmosphere, creates lignite extract. How it works: I need to give you a quick primer on Leaky Gut, called intestinal permeability in scientific literature. Leaky gut occurs when environmental toxins, stress, genetics, pharmaceutical drugs, and processed food degrade the healthy balance of gut bacteria. We require balanced gut flora to protect the delicate lining of the small intestine. When destroyed by stressors and toxins, our gut flora becomes imbalanced and pathogenic bacteria move in. These pathogens, along with chemicals and certain foods, loosen the junctions between the cells of the small intestine. As a result, toxins and undigested food molecules escape into the bloodstream and cause immune dysfunction. When balanced, our gut flora communicates widely via carbon molecules called redox molecules. Restore introduces these carbon-based messenger molecules into the digestive tract, promoting essential communication of our gut flora. When our gut flora communicate, they can re-establish balance and intestinal healing. Restore is shown in a controlled study to restore the tight junctions between small intestinal cells — in other words, it promotes the reversal of leaky gut. In my own experience, I found Restore greatly improved my digestion and allowed me to expand my limited diet. How to use it: Take 1 tsp. three times a day in water. It is not objectionable to take, and just tastes a bit salty. Where to get it: Restore is available here from Amazon. What it is: This soothing blend contains nutrients that support healing of leaky gut as well. 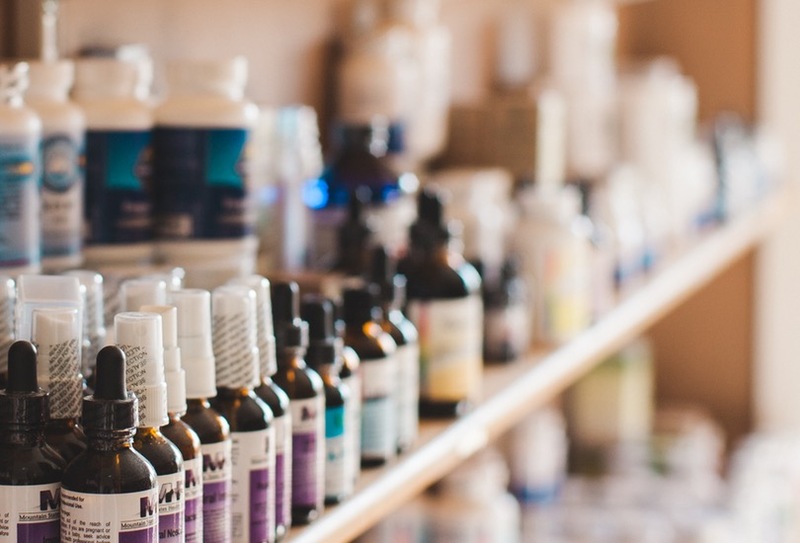 How it works: A blend of herbal ingredients — including slippery elm, marshmallow root, licorice root, and aloe vera — promotes repair of damaged intestinal lining and healthy intestinal mucosal production. Leaky gut means damage to the tender lining of the small intestine, and Repairvite was a critical tool in my leaky gut recovery. Important note: This is not suitable for those following the Specific Carbohydrate or GAPS Diet due to the carbohydrate structure of the herbal ingredients, like Marshmallow root. How to use it: Mix one scoop into water and take twice daily. It does not taste objectionable, and is sweetened slightly with stevia and luo han guo extract. Where to get it: Your best bet is to find this product through a naturopath or Nutritional Therapy Practitioner. The prices for this product tend to balloon on Amazon, although it looks like it is available for standard retail price here at Farmacopia. What it is: These clinical-strength probiotic supplements support healthy immune function and microbiome diversity. With countless probiotics on the market, which is the best one? I don’t think there is a best, because gut flora requirements vary from individual to individual. But these are the two formulas recommended by my mentors. BioKult is also the specific probiotic recommended by Dr. Natasha Campbell-McBride for the GAPS Protocol. How it works: We require a vast diversity of bacteria in our digestive tract to maintain healthy immune function, as our gut flora orchestrates our immune response. In addition, our gut flora also produces neurotransmitters and hormones, playing a key role in our mental and emotional wellbeing. Researchers are now churning out studies to show what many alternative practitioners already knew from clinical experience: our diet and environment determines our gut flora, and our gut flora determines our health. BioKult introduces diverse strains of flora, including some native and transient strains. How to use it: There is controversy wether to take probiotics with or without meals. Some say that the increased stomach acid during mealtime can destroy the good bugs. But traditionally, cultures consumed fermented foods at mealtimes. So I believe its find to take probiotics with or without meals. One capsule of Prescript Assist is taken once or twice per day. It can be used in conjunction with BioKult. 1-2 capsules taken twice per day is a standard dose, and therapeutic dosages are outlined in The GAPS Book. Where to get it: Prescript Assist is available here and BioKult is available here. Are there any digestion supplements that have supported your healing journey? Do you have experience with these supplements? Hello Lauren, I found you by accident, I was looking at the pros and cons of soy milk then came across your website, surprisingly, I read your story and found myself reliving mine, I was chronic with UC and the next step surgery, without going to deep, I never had the surgery but I’ve been in remission for many years and haven’t taken medication in just as many. To your readers suffering from similar problems, I found fresh pineapple, in small doses contains a proteolytic enzyme, I found this years ago by pure chance, it is very good in breaking down food and slowing down loose movements, (for me it did and I still use it now when I feel i need to) but use wisely if its the first time, for me it slows me to a day or two, not good for sufferers to create blockages. Something small I can offer up and if it helps anyone I will be pleased, I see you website is very in depth and only hope all that read it will go away with that little bit more knowledge than when they came, and more so, hope, miracles happen, for me there was nothing, not even the internet so I was alone, or should I say me and my constant trips to the hospital. Thank you for letting me post and god speed to anyone suffering for them to be well.